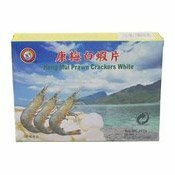 Cooking Instructions: Place crackers in a suitable metal utensil containing cooking oil at temperature of 160C to 180C. Remove as soon as cracker turns brown/yellow and swollen. Allow to drain, serve cold. 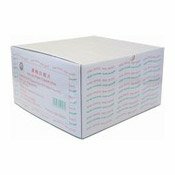 Ingredients: Tapioca Starch, Water, Prawn Extract (Crustacean) (8%), Sugar, Salt, Flavour Enhancer (Monosodium Glutamate). 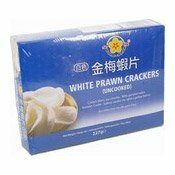 Simply enter your details below and we will send you an e-mail when “White Prawn Crackers (Uncooked) (金梅白蝦片)” is back in stock!